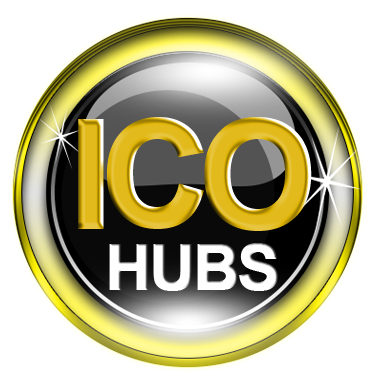 Our Airdrop Program will take place from April 10, 2019 to May 09, 2019. 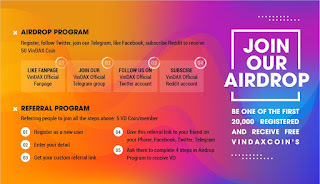 We will distribute an amount of 2 Millions VD for rewarding our users. The program may end before May 09, 2019 if the amount of 2,000,000 VD is used up early than estimated. After completing all the tasks required, your points will be added to your account. 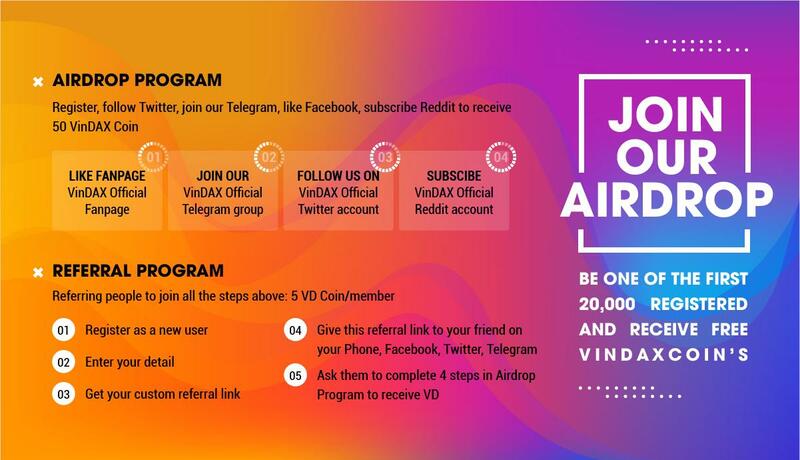 When the Airdrop Program gets over, you can convert Point to VD (1 Point = 1 VD). Time for Point Convert is at 2:00 a.m. UTC on May 10th, 2019.